A Sweater in half an hour? Well actually it has been a lot of half hours added together, but I bet I got ya there!I have a rotator cuff frozen shoulder injury at the moment and have had since July but I was hoping it would just get better. 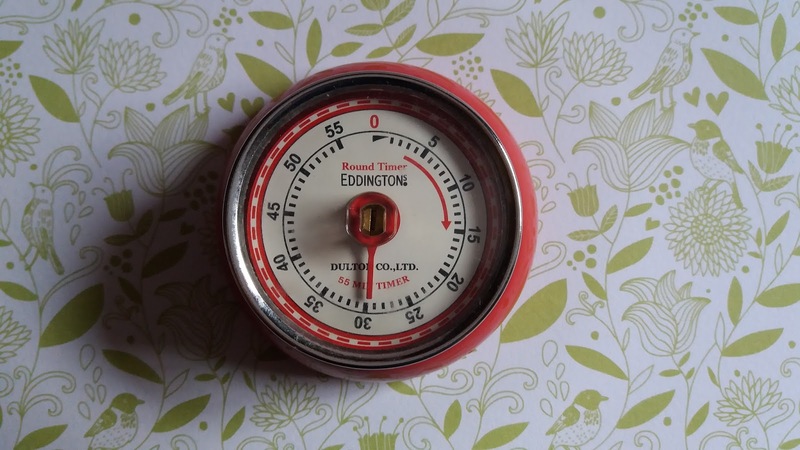 In September it really was unbearable so knitting and crochet stopped altogether for a while and then I started up in 30 minute increments - literally, I had the cooker timer on and when the bell went, I had to stop. Bloke was checking too so there was no cheating. I lifted three bags of bark out of the car just before the summer holidays started which it turns out on closer inspection were 40kg each. I thought they were a bit heavy when I lifted the first one but continued to lug them up the steps to the garden. My arm really hurt afterwards and never really got right over summer. I get a bit crazy like that when I want something done but I am regretting it now. Annnyway in knitting terms... it just goes to show what you can achieve in half hour knitting sessions. Did I just say I get a bit crazy when I want something? well, I really wanted this sweater so it called for a crazy approach. Eventually this chunky warm sweater emerged after two months of gentle knitting. You feel instantly warm as soon as you put it on. I used 5 balls of Wendy Serenity Chunky on 6mm needles and the pattern (Sirdar 84590) was really simple and easy to keep track of, there was not a stitch count out all the way through. I did have to unravel the front 5 inches when I realised I had done 1x1 rib instead of 2x2 rib which irked me because it was such a slow burner and every row counted as progress. I am having physio now so the yarn stash is piling up and the fabric stash is going down as I am finding it easier to sew at the moment. I have found that I can't actually live my life without making things but as I say 'when I want something....' These photos were taken at A National Trust Property called Upton House and Gardens where we chuckled at this sign by the outdoor swimming pool! No sympathy needed but oohs and ahs for the sweater would be much appreciated. 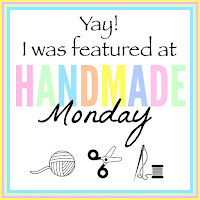 My Minerva make this month is a crochet one. 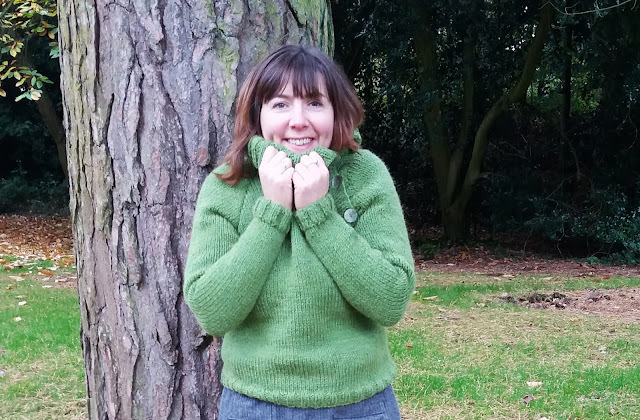 Although choosing fabric from Minerva is a delight, there comes a point where we just didn't need anything new in our wardrobes but there is always room for an exciting crochet on the go project. The yarn is a super luxurious sock yarn called Jawoll Magic Degrade which comes in 18 different colour choices but I opted for a subtle Heather Moorland palette. 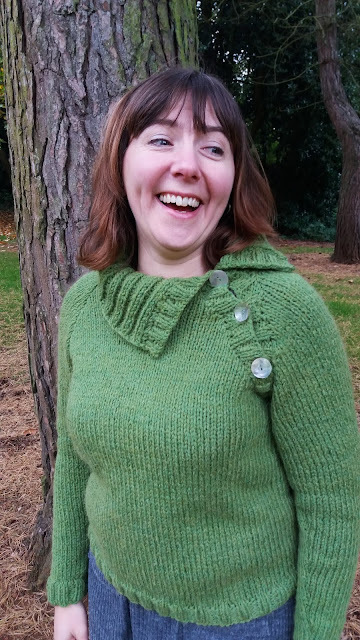 You may recall this yarn was my holiday knitting project but my brain must have been elsewhere because when I got home there were just too many mistakes in it to carry on so I changed tack. The centre line had gone completely astray, the stitch count was miles out and can you see that hair grip, that is holding a dropped stitch! 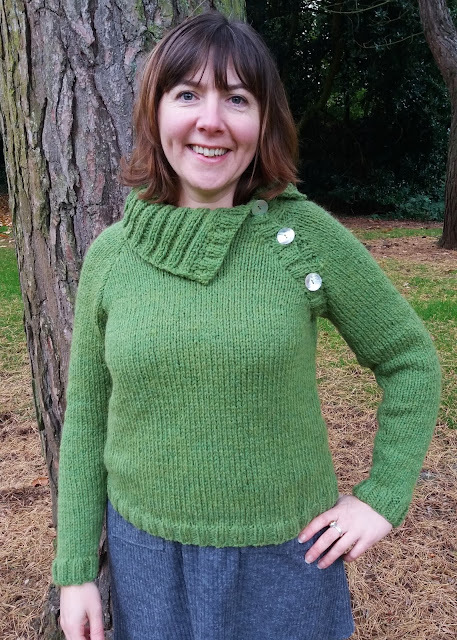 I used the Ravelry search engine to search the yarn rather than a pattern and it turned up trumps with this project. A great way to find the right pattern for the right yarn in the right quantity, you should try it. This project uses one ball. Quick little flowers emerge which are joined as you go along. It was a great little project for travelling on the go or for doing two flowers a night whilst not over crocheting my injured arm. 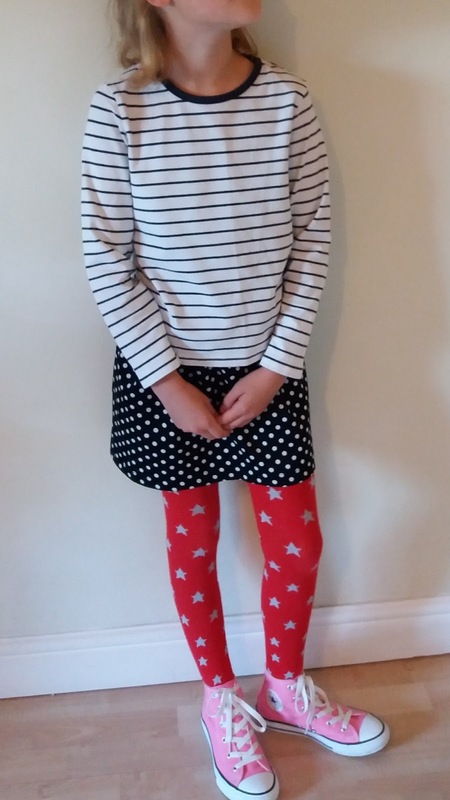 It is quite short, a decorative kind of attire but Little M loved it so it is now hers. Just the right size for a child and matches her eyes beautifully. Thanks Minerva for such fine quality wool. A super quality item. I have a gripe with most children's craft kits in that they always deliver failure with poor or missing materials but this was first rate. Great instructions, lovely wool (if you are 7) and a sturdy loom with all the bits to put it together including the allen key. We set up quickly and off she went, both left and right. I don't know why she wore crochet fingerless gloves but it all added to the charm of creating with her hands.The wooden guide dowels stopped her from pulling too hard on the end strings which she understood. She ended up with a tasseled square coaster not a banana shaped one. A completed task in less than an hour, much satisfaction and joy all round. Well Done M, we can try the handbag next. Thanks for looking at my left hander's achievements. 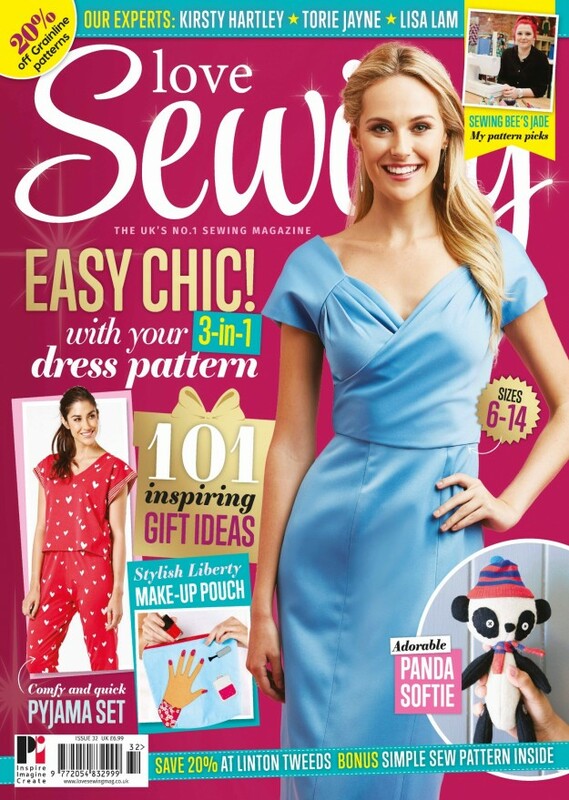 I was asked to be in Love Sewing magazine!!!!! Excitement levels were palpable as I endeavoured to take better quality photos for the editorial with my dad, not my usual modelling buddy but he was good and I felt more relaxed than I thought I would. Anyway it got me thinking about the piece that was left over. This cotton lawn fabric, from Minerva, was a wonderful choice considering I chose it online. Sadly however, it is sold out in all three colourways. I didn't need a new dress but suddenly I really wanted a peter pan collar blouse. I did some measuring and adjusting. 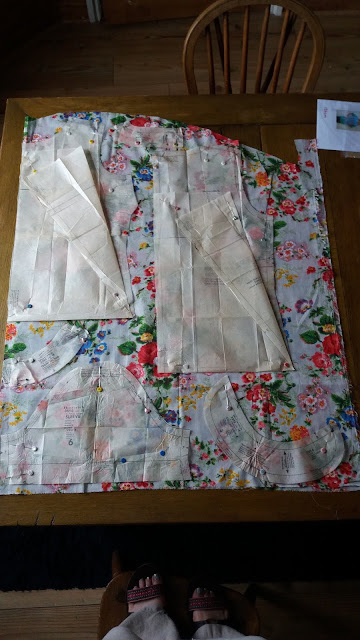 I nearly had to choose between sleeves or a collar but I decided to cut one set of collars on floral and one set with lining. In hindsight this was a good idea because the fabric was sheer so the flower pattern would have disturbed the look with the pattern showing through. Ta dah! Looks great with my handmade skinny stretch jeans. I added a lace zip to the outside in red which really finishes it off. I am not really keen on zips on the outside of garments but when they are pretty like this one it looks meaningful. All done number 14 with this fabric, it has all completely gone. 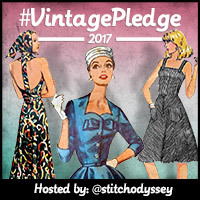 It has been good to do another vintage pattern for the #vintagepledge this month because I really enjoy making and wearing from my vintage pattern collection. I have quite a collection of vintage patterns now. I thought I would give you a sneak peek through some of my favourites and why they are so. My two new favourites are these oversized pattern packets I saw in a junk shop in a traffic jam. I went back three days later and bought them for £3 each. I like them because they are both a 36" bust as well as having a huge selection of shift dress options which is the style I like to wear the most so there is a high chance I will make at least one of these. They live in my craft cupboard and are sorted into ones I would wear and ones I like to look at all in little slide top bags for protection. These three are just eye candy because a gathered waist in the 1950's style is not a good look for me. I have tried before and with such a short body the gathers just seem to burst out from just below my bust making me look like a pantomime dame! This is on my wish list to make. It is a 34" bust so I will have to make a toile and make some adjustments. Big job. Not quite ready for this one yet. These are the 1960's styles I prefer. 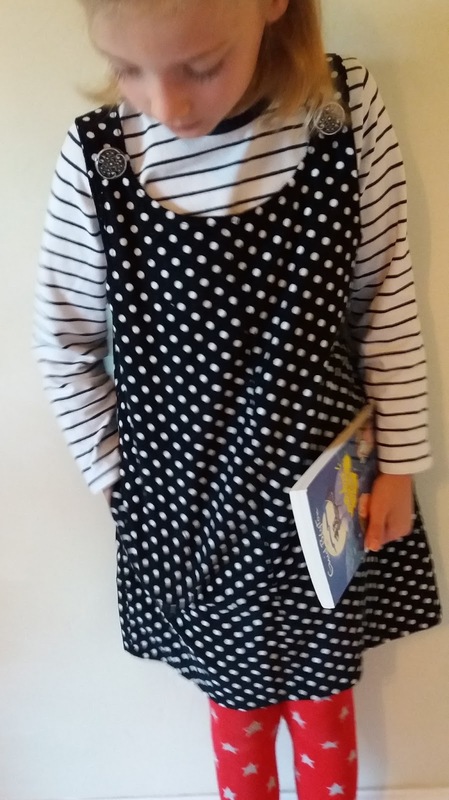 I have made Butterick 3598 as a dress with a crochet collar and also as a pattern hack top with a peter pan collar. 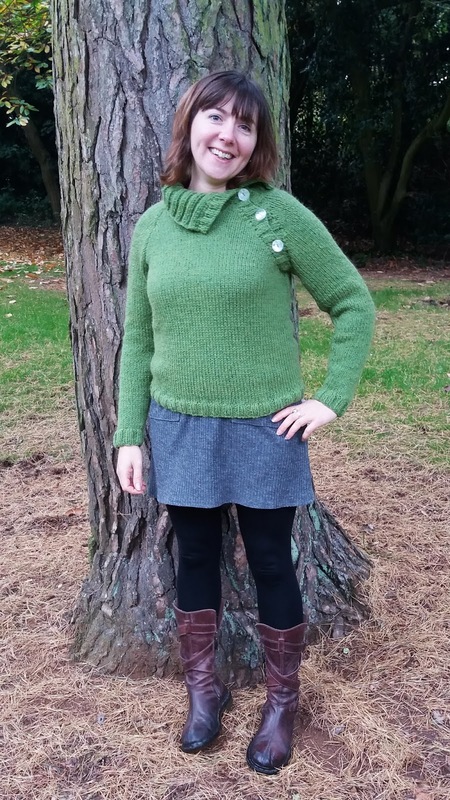 I have also made Simplicity 7193 in both short and long sleeved versions - both very wearable for work and firm favourites. Love, Love, Love these two patterns. I have used them a lot. 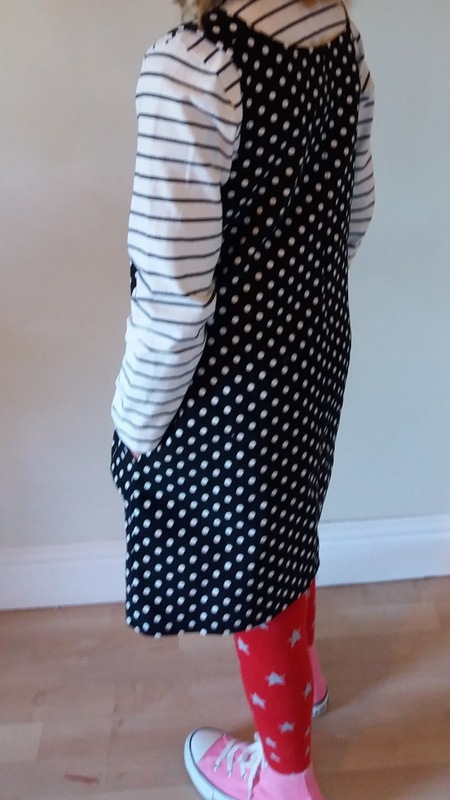 I made the Butterick 3217 long sleeved blouse in navy and white spotted crepe and many variations from Simplicity 7642. I grab this pattern to use up leftovers from other projects. In fact there is a toile in the bag in spotty fabric to check if I have changed shape or size which I can refer to when I pick it up. That sleeveless floral version is so useful for small amounts of fabric. I have two skirt patterns, I don't need anymore. I favour an above the knee style and these have all bases covered.I have made three Simplicity 7725 short skirts since I bought the pattern. 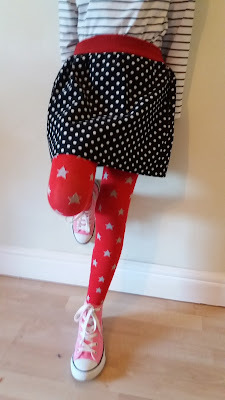 I have made the circle skirt from the Butterick pattern but the verdict is still out on that one. Not used either of these yet. I had the itchy-stitch to make a new evening dress in September but cried off and wore one I already had to a charity ball we attend every year. Maybe next year. 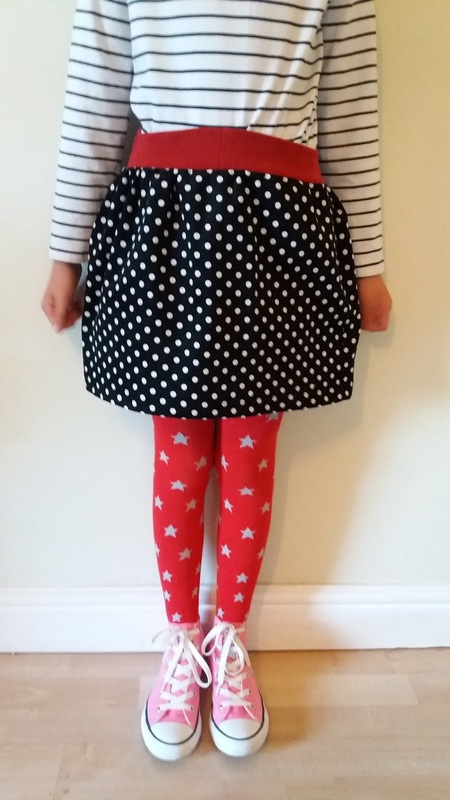 I only have two children's patterns but view B from this one is a favourite. I think a blue chambray one of those would be cute beyond words worn with leggings and boots. So there you are. I am a collector but a picky one. I try to buy ones I would actually use in the right size. 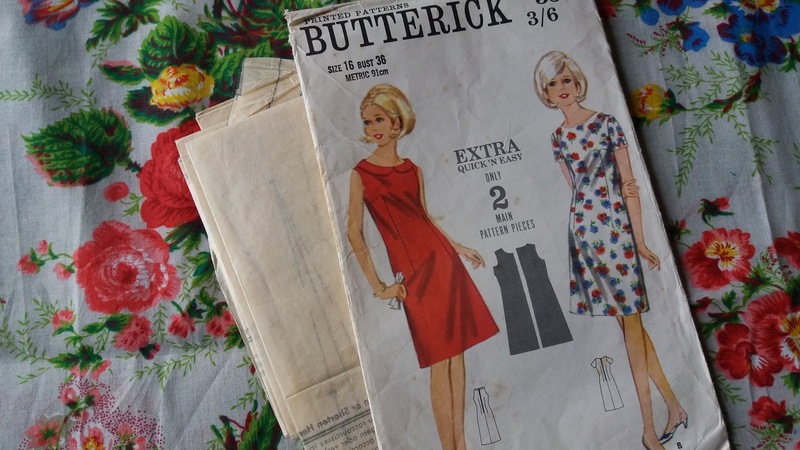 I pick patterns by style but they are nearly always strangely from between 1965 - 1969, must be my thing. they bring back any memories of the 1960's for you? I had a go at drafting a bodice block for this loose fitting, dropped waist tie top by Lisa Comfort. 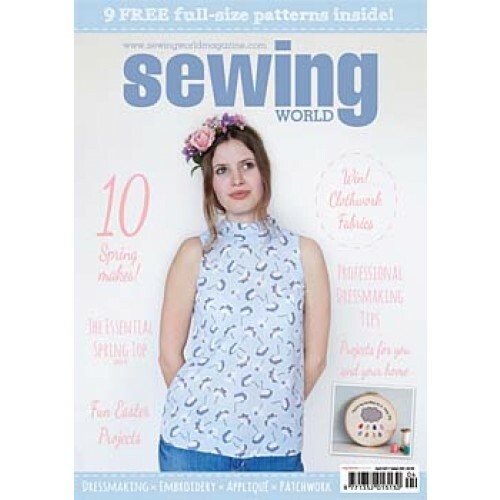 I got the instructions from the 'Make it Today' free downloads section online which you can only access with a subscription password but the pattern block instructions are originally from Lisa Comfort's book Sew Over It Vintage. The fabric is an unusual chiffon over layered with lace with a crinkle effect. Got that?! 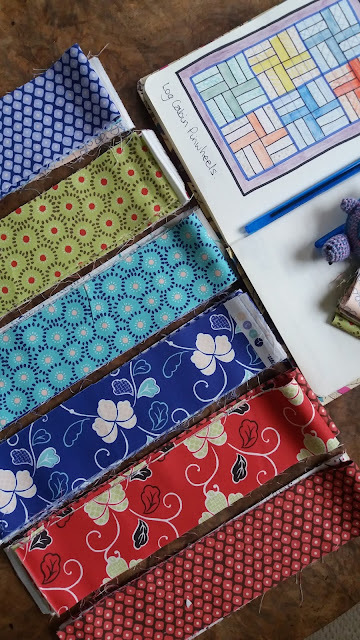 I had been wondering what I was going to do with it since I was lured by the colour and price from White Tree Fabrics sale. It was strange to sew with but worth it in the end. 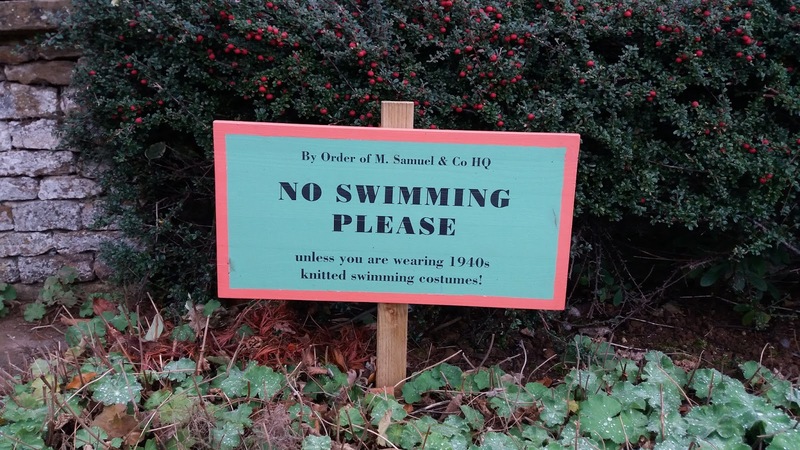 It is for an intermediate sewer who plays a bit free and easy. If you are an accurate sewer you will hate working with it. You have to sort of go with the flow and ease seams together due to the crinkle stretch effect. You need a new sharp machine needle too because the single layer of chiffon sews differently to the bit layered with lace. I used the selvedge edge to highlight the waist tie, I didn't need to but I liked the look of it. This is my new going-out-for-family-dinner top, I could eat a huge dinner in this and open the top button on my trousers and nobody would see! 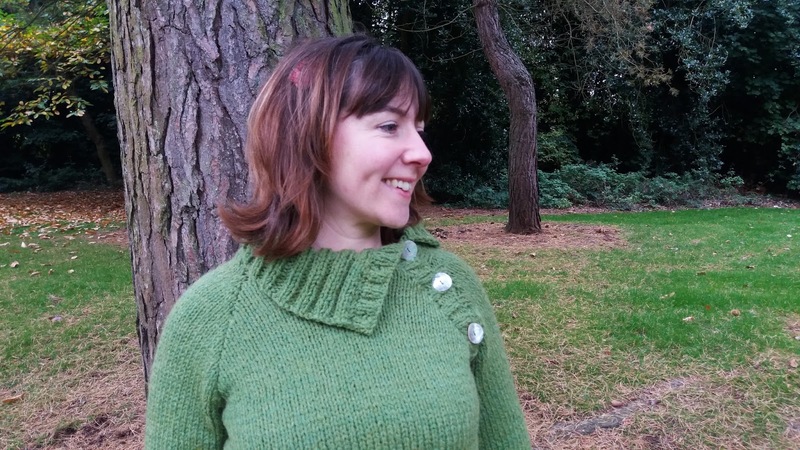 I just can't stop sewing with cordouroy at the moment. Since the 1st of September I have made a dress and skirt for Little M, stretch jeans for me and these two garments for Big Sis. 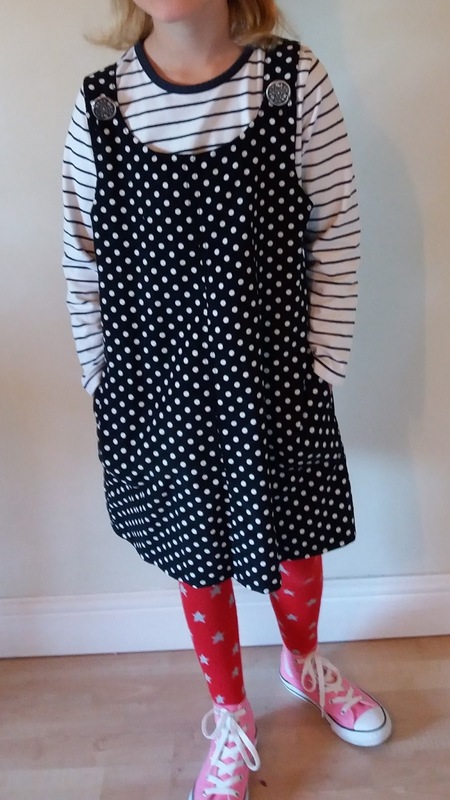 Today I am sharing the pinafore which I made first. Then I used a bit more spotty cord to make this no pattern skirt for Big Sis using the last scraps of my stretchy cord from my jeans for the waistband. 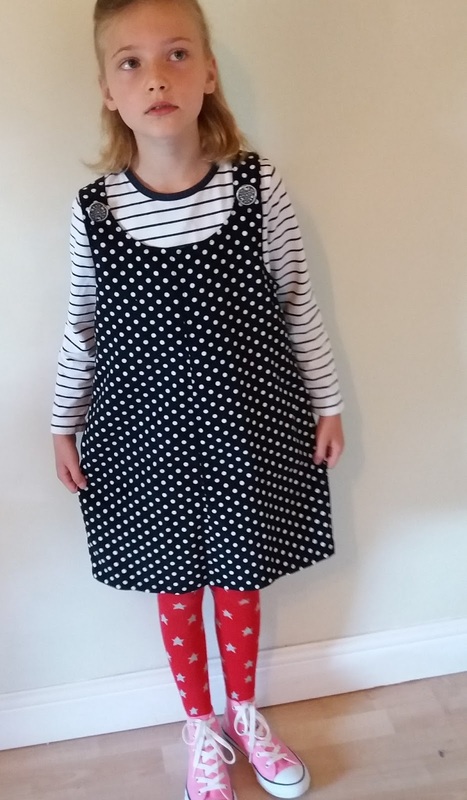 The pinafore is the next size up from this one I made her in 2014. She asked for another one. Ottobre magazine, I love you and your kids patterns. It is a bit big at the moment but this girl is growing fast. 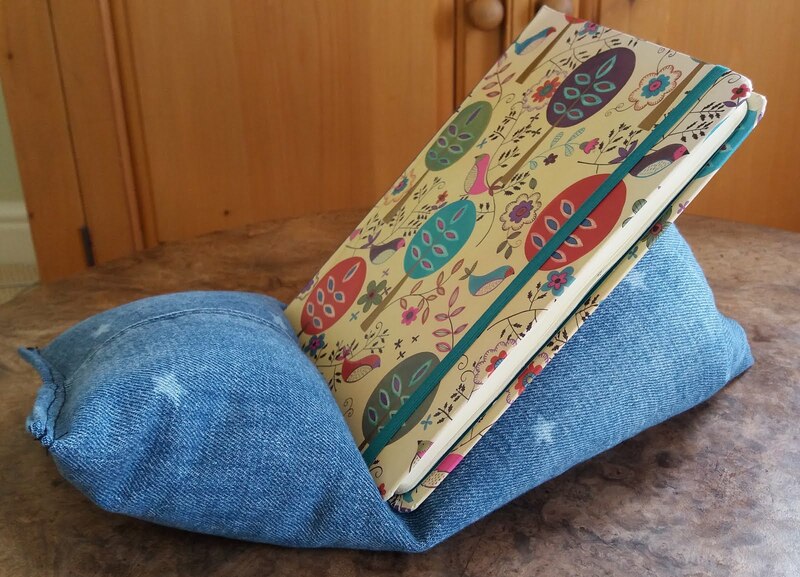 I have a jelly-roll-pinwheel-log-cabin thingy taking up space in my head and my craft cupboard so I am going to get it out there on a bed to give me more thinking room. This should see me through until March I reckon. There is something about crochet that I love. I don't do as much as I used to when the girls were babies. I make things we need and we simply can't face crocheted trousers! The thing I love about crochet the most is the way you can create shape which I think is so much more difficult with knitting. I made this with no pattern whatsoever, just feeling my way, throwing some shapes, adding a bit here and there with the knowledge of a few different stitches - popcorn stitch, back of the post rib, double crochet and chains. I find it totally wondrous that crochet can be as free as this. I made a little piece every night for a week. I have made it for my dad's wife as she has a display of cactus and succulents in their conservatory, however my dad does not like them much, consequently we 'rib' him about it so I thought this was a bit of fun for her birthday present. I can't give you a pattern or a link because it all came out of my tiny mind but I encourage you to have a fiddle, break free from the constraints of a pattern and see what happens when you just crochet for the love of it.